Last week, Joe requested that I make two meatloaves with the ground beef that we picked up earlier in the week. My original plan was to just pre-cook the meat the and divide into portion sizes to freeze for future meals. I love just grabbing a bag of the meat for a quick meal. Great for adding to a jar of sauce for a quick pasta dinner. Or adding some taco seasoning for tacos or a big plate of nachos. But as I stated in a previous post, Joe rarely makes requests. He's really good about just eating what I put in front of him at dinner time without complaint. Set aside 3 Tbs. Chili Sauce, Combine remaining ingredients in a large bowl. Shape into a loaf on a baking pan or press into a loaf pan. Top with the reserved chili sauce. Bake for 1 hour. Allow to rest for 10 minutes before slicing and serving. 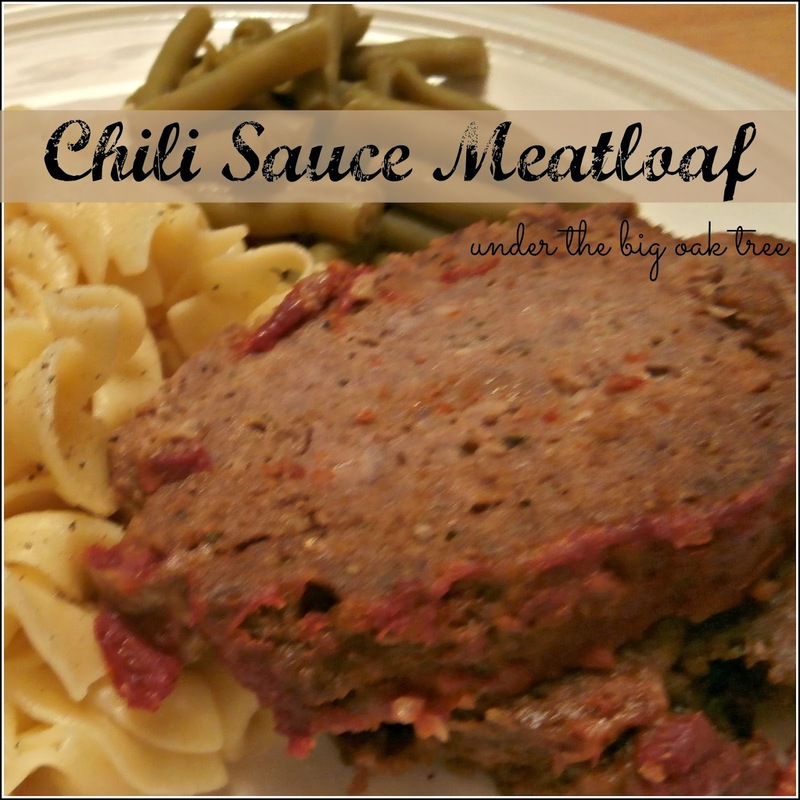 This was a very tasty meatloaf that sliced down perfectly for sandwiches!